As an therapeutic tool aromatic oils have been used ever since as part of Chinese Medicine. Essential oils represent the genetic unfolding of the plant – the Jing, the essence of the plant. They therefore have potential effects on physical developmental problems as well as the mental and spiritual development of an individual. The plant’s Jing will resonate with the body’s Jing. Therefore Aromatherapy is becoming one of the most popular modalities of healing available. 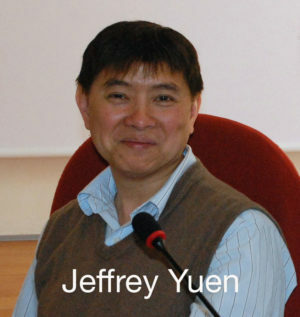 Master Jeffrey Yuen first began using essential oils in his pediatric practice, since children often fear needles and do not want to eat/drink Chinese herbs. In this introduction day Jeffrey will explain the different aspects of the aromatic oils and how to use them on the skin, the acupuncture points and in carrier oils and what their therapeutic effect on the physical en psyche is. He will discuss the energetic qualities of the essential oils and properties such as volatility and viscosity, along with the framework from Chinese medical perspectives, including associations between odour qualities, taste and the 5 elements.